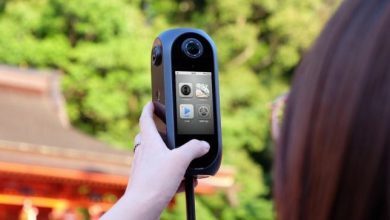 On September 11, on the same day when the Cupertino-based Apple was holding an iPhone conference, Xiaomi set its own conference that had been promised to be the biggest in 2017. The Chinese Apple even set the start time a bit sooner than the Apple’s conference. As you should know, Xiaomi launched three new great devices in face of the Xiaomi Mi MIX 2, Mi Note 3, and an unexpected laptop dubbed as the Xiaomi Notebook Pro. Xiaomi has started selling notebooks from May 2016. After six months the company launched the 4G-enabled model. As for this year, the company continued improving its Air line and introduced the fingerprint sensor variant of the Xiaomi Air Notebook. Now we can get our hands on the latest model sporting the latest Intel Gen 8 Core i5 / i7 processor, 4 core 8 threads introduced at IFA in Germany in August. 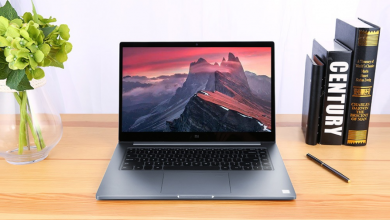 Apart of this, the Xiaomi Notebook Pro is packed with a dedicated NVIDIA GeForce MX150 graphics, 8/16GB DDR4 (2400 MHz) memory, 256GB PCI-E / NVMe SSD (dual card slot expandable), and supports dual antenna 802.11ac Wi-Fi. The screen is at 15.6 inches providing Full HD resolution, supporting 72% NTSC color gamut, and coated with Corning Gorilla Glass 3 and ultra-narrow bezels. This is one of the early notebooks featuring the 8th Generation of Intel Core-i CPUs. This chip is promised to provide 40% improved performance in comparison to the last year’s Kaby Lake chips. Thus the SoC in the Xiaomi Notebook Pro can be considered as the biggest change in comparison to the 12- and 13-inch models. On the other hand, the GPU could be better. As for appearance, the laptop uses a full metal reinforced, magnesium alloy chassis. It also uses double fans on the left and right air vents. So the air circulation has been increased to 40% making the Pro notebook much cooler. Xiaomi has drastically improved the side bezels making them 6.52mm. This is not as thin as the Dell XPS 15 (2017) but still considering the Xiaomi Notebook Air series. The keyboard has been changed a lot, but we can’t see a numeric pad there. The changes mainly refer to the colors. Not it uses black instead of silver or golden. The key spacing is at 1.5mm. It is backlit. The Xiaomi Notebook Pro can be proudly compared to the Apple’s MacBook Pro 2017. The notebook is 1.5mm thinner than MacBook Pro. Xiaomi introduces the 2 x fully featured Type-C ports, 2 x USB 3.0 ports, 3-in-1 MicroSD slot, HDMI port, and a 3.5mm audio port, distributed on both sides. The Xiaomi Notebook Pro is already on sale, but there is no hint when it is available globally. Look at this Xiaomi Air Notebook deals before our hero becomes available at GearBest.